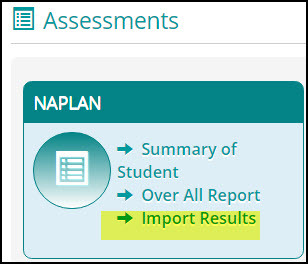 Before importing NAPLAN results, please ensure you have the necessary State authorisation to do so. 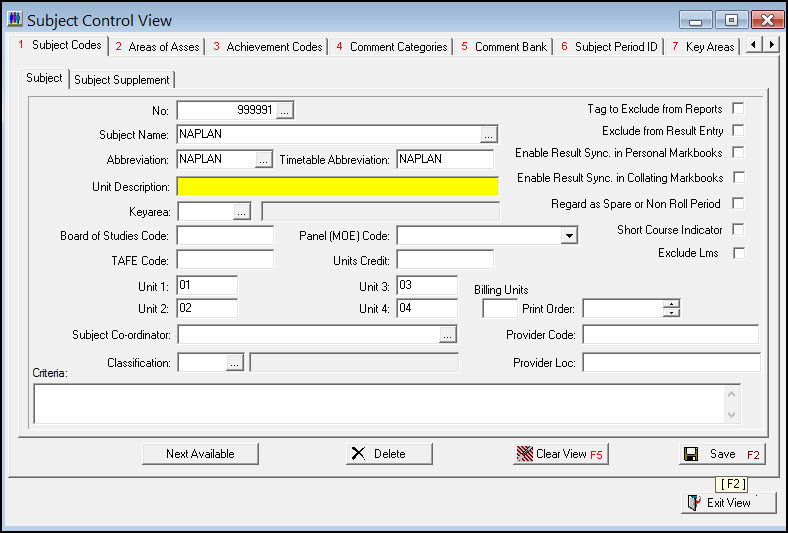 For importing previous NAPLAN results, you will need some set up in Back Office shown in the instructions below. 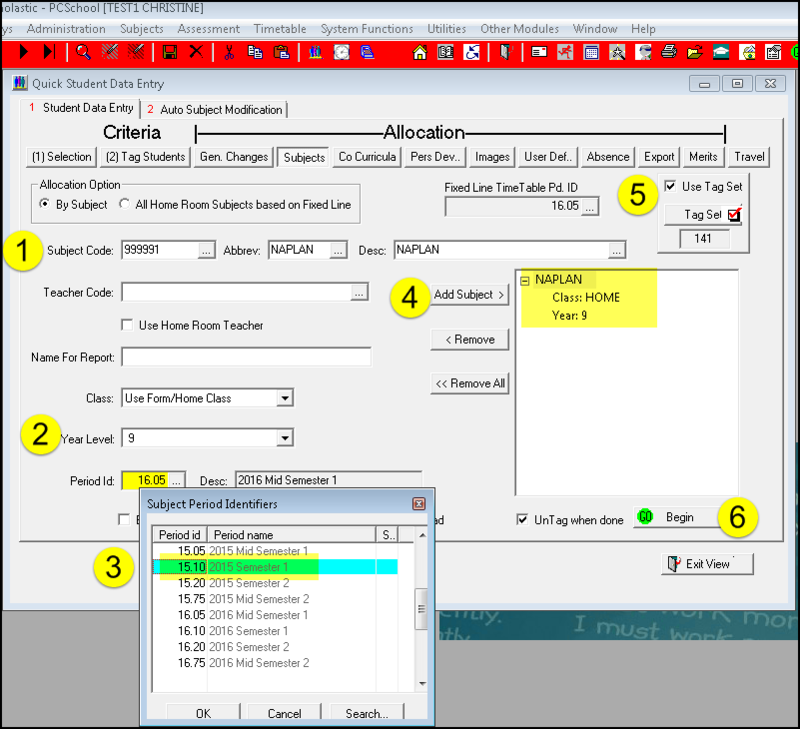 Security if required to gain access to these Controls and also for saving data where the controls allows. 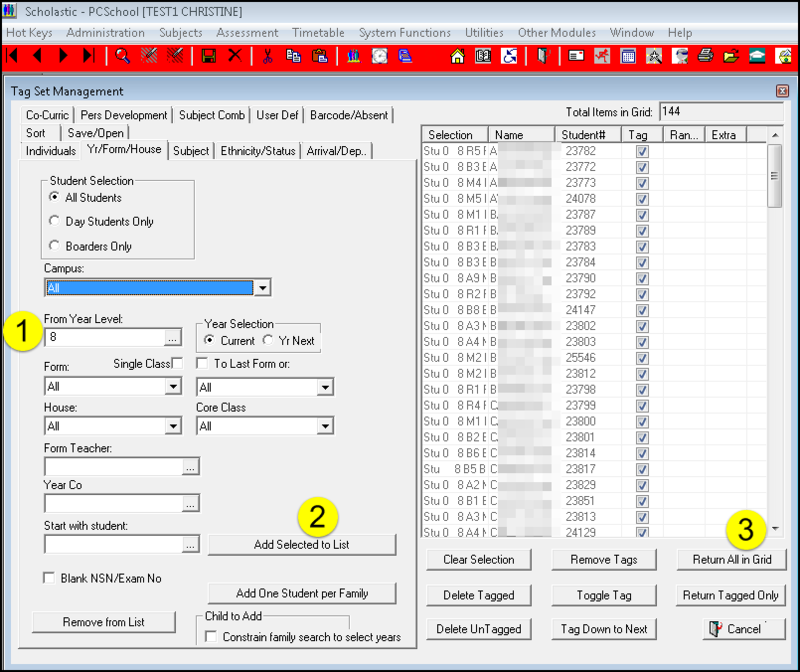 [Use Tagset] – and select TagSet based on the year level they are now e.g. year 8 (but this will put results under Period ID 15.01 and they where Year Level 7) – see below. 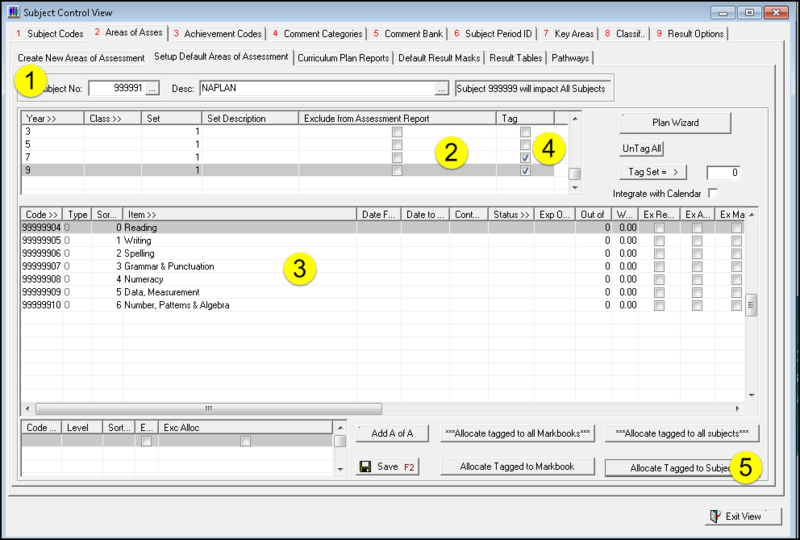 Go back to Step 6 and now import your Reading, Spelling etc until all results have been imported.